Many people fail to appreciate all of the incredible innovations that have taken place in the air conditioning world in recent decades. Unfortunately, this often means that they fail to take advantage of efficiency boosting new technologies. If you would like to learn more about the options available today, read on. Here you will find a useful comparison between traditional systems and what are known as variable refrigerant flow air conditioning systems. On the surface, variable refrigerant flow systems–often referred to as VRF systems for short–function much like conventional air conditioners. Both systems utilize refrigerant filled coils to cool down the air in your home. Likewise, the two types both utilize a condenser unit to change the heated refrigerant from a gaseous back to a liquid state. This condenser unit is generally located in the yard outside your home. A conventional air conditioning system operates using just a single fan coil unit. This is the coil through which the condensed refrigerant flows, thus cooling down the air around it. A blower system then distributes this cooled air through the HVAC duct system in your home. Unfortunately, this often leads to inefficiency issues, whether because rooms are being cooled even when not in use, or because the air is not evenly distributed to all of the roofs. A VRF system manages to avoid both of these pitfalls. It does so by incorporating multiple fan coils. Generally, several such fan coils are located here and there throughout your house. This allows you to manually–or even automatically, by programming your thermostat–alter the volume of refrigerant being sent to a particular fan coil. As a result, you are able to precisely tailor the amount of cooling each different zone of your house receives. This allows you to maximize cooling power, while avoiding spending more to heat unused portions of your home. Knowing when and where an air conditioner is in need of maintenance can be a tricky thing for many homeowners. Unfortunately, this often leads to breakdowns and other expensive problems. If you would like to brush up your understanding of central air conditioning components, read on. This article will discuss two of the most important parts of your system. The condenser is that large cube or cylinder sitting somewhere along the outside edge of your home. To understand its role, it helps to first realize how an air conditioner works. The basic idea is that refrigerant is used to cool warm air, which is then circulated through your home. In the process of accomplishing this cooling, however, the refrigerant turns from a liquid to a gas. In order to continue cooling air, it must next be turned back into a liquid. That, in a nutshell, is the condenser’s job: condensing the refrigerant inside of the system from a gaseous to a liquid state. Unlike the condenser, the evaporator coil is located inside of your home. It is housed in a special metal box known as the plenum, which itself generally sits atop the furnace. The job of the evaporator coil is to perform the actual cooling of air. Liquid refrigerant is pumped from the condenser to the evaporator coil. As the refrigerant courses through this coiled metal tube, it absorbs heat from the warm air around it. The evaporator coil is located in close proximity to the blower motor which distributes air through your duct system, meaning as air is cooled it can rapidly be sent outward into your home. 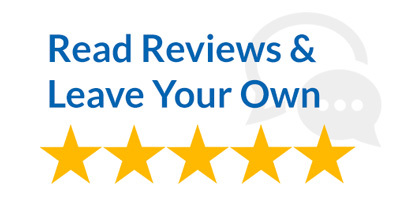 If you would like to learn more about your air conditioning system, or if you believe that it may be in need of maintenance or repair, feel free to contact us. Asthma attacks at night are enough to frighten any person, let alone a young child. Not only can these attacks thoroughly scare a child, but they can also leave a child sleep deprived. If you suspect asthma attacks are preventing your child from sleeping soundly, here are a few tips that will help you achieve indoor air quality improvement with air conditioning. The air in most homes is tainted with allergens, especially during the summertime. Most allergens can trigger both allergies and asthma attacks. These asthma attack triggers include pollen from plants, dust mites, mold, and mildew. Air conditioner units have filters that can improve indoor air quality by removing these allergens. Just ensure you replace the air filter of the unit regularly so that it remains functional and efficient. Another way you can use your air conditioning unit to control asthma attacks is by controlling the humidity in your home. High humidity environments are a major trigger for asthma attacks for most children. This is because humidity can trigger the inflammation of the bronchioles. This inflammation partially closes these air pathways, limiting both the inhalation and exhalation of air. An hour or two before your child’s bedtime, you should open your air conditioner to start reducing the humidity in your home. Keep the unit on throughout the night to keep the humidity low. You can also use a dehumidifier to keep indoor air humidity between 30% to 50%. Asthma is a problem that is not going anywhere anytime soon. According to the CDC, in 2009 1 in 12 people in the US were receiving treatment for asthma. That’s 25 million people who regularly suffer from impaired breathing. If you or a member of your family has asthma, you know how scary it can be. Environmental factors continue to be one of the main reasons people suffer from asthma. Is the indoor air quality in your home causing you or a member of your family respiratory distress? Let’s look at some of the causes present in many homes. Mold can be found in even the cleanest homes. It it often present wherever there is dampness. Bathrooms, basements, and kitchens are the usual suspects when it comes to pinpointing where mold is in your home. Leaky faucets are also a common source. Did you know that dust mites are present on every continent except Antarctica? They’re hard to get rid of, and are often a trigger of asthma and allergies. They are found just about anywhere in your home. They can be found in carpets, bedding pillows, stuffed animals, and anything plush. Plus, they thrive in environments between 68 and 77 degrees. That’s the temperature most of us keep our homes! Regular exposure to dust mites can cause an immune response known as allergic rhinitis and can severely impact quality of life year round. Allergy season can be a nightmare for asthma sufferers, and most experts agree that the fall and spring allergy seasons are only getting worse. The Harvard Health Letter asserts that allergies are starting earlier each year than in seasons past, and around 36 million Americans suffer each year. Those allergic to pollen can do their best to avoid it outside, but there is no way to avoid bringing it in the house. It makes its way into our homes on the bottoms of our shoes, clothes, out pets, and through open windows. If you have asthma, one of the most important things you can do it take a proactive approach to managing your condition. Once you have identified your triggers, what next? Reducing the presence of these triggers in your home is an important step to improving your quality of life. When you took that big step and became home-owners you probably thought a lot about all the decorations you would add to the house to make it feel like home, the bbq’s you would host in the backyard, the birthday parties you’d plan, and the memories you’d make in the process. You probably didn’t think much about maintenance or your heating and air conditioning unit. However, over time, you’ve probably realized that they require a lot of attention. Your home’s air quality is directly affected by your heating and air conditioning unit. This becomes a problem when mold and bacteria start to form, blow into your home, and get inhaled into your lungs. How Can You Improve Air Quality? First things first, you always want to keep your heating and air condition unit properly cleaned and maintained. This will drastically help keep your air safe. But there are products you can add to ensure your home has the best air quality possible. When it comes to Indoor air quality improvement, air purifiers are the best product you can buy. If you suffer from allergies or get frequent colds, an air purifier will help you breathe easier and sleep better. High-quality, in home air purification systems, kill up to 99% of germs, pollen, and mold captured. It also fights hard, and effectively, against many common pathogens. Installing an air purifier gives you peace of mind and the freedom to breathe deep, knowing that the air you breath is clean. The thought of mold and bacteria growing on your air conditioning and heating unit, becoming airborne, and filling your house is unnerving. And while keeping your unit clean and installing an air purifier will definitely help eliminate that danger, going a step further isn’t a bad idea. UV lamps were designed to successfully prevent the growth of mold and bacteria in your home. If there is any mold or bacteria growing on or around your AC coil, the UV lamp will kill it, keeping you safe from any exposure. We often think of air pollution as something that only occurs outside. If you’re like many people, you haven’t given much thought to the air quality inside your home. However, indoor air can be up to five times more polluted than outdoor air. Follow these tips for indoor air quality improvement in your home. It’s important to use high-quality filters and to change them regularly. The air filter keeps the air cleaner, and keeps debris and dust out of the air ducts, and traps dust and allergens before they escape into the air that circulates in your house. Dirt and debris build up in the filters over time. 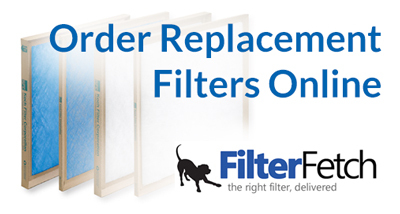 Clean or change the filters every month that your HVAC system is in use. Not only do they keep the air your breath fresher and cleaner, but they also help eliminate the “dust smell” in your home. Vacuum your floors at least once a week. Choose a vacuum cleaner that has strong suction, rotating brushes, and a high-efficiency particulate air (HEPA) filter, which captures allergens like dust mites or pet dander. Mop your floors to pick up dust left behind by vacuuming. Select a reusable microfiber dust mop, which picks up more dirt and dust than a traditional mop. Place a doormat at every entrance to your home. Consider asking visitors to remove their shoes when they enter, to minimize dirt and dust tracked in from outside. Many air fresheners, laundry products, or household cleaners contain synthetic fragrances, which emit volatile organic compounds (VOCs) into the air. Such chemicals are rarely listed on the product label. Minimize the use of harsh cleaning products. Make your own cleaners, or purchase cleaning products without artificial fragrances. The smoke from cigarettes contains more than 4,000 chemicals. Exposure to secondhand smoke causes a number of health problems. Ask smokers in your household to smoke outdoors. Mold and dust mites flourish in high humidity. Have your HVAC system checked to ensure that it’s dehumidifying properly. Consider upgrading to a separate, whole-home dehumidifier. Is your Air Conditioner Contaminating your Home? If your home has central air conditioning or is heated, then you have air ducts and equipment that needs to be maintained. The ducts carry the air throughout your home and help you maintain a consistent, comfortable temperature. Your heating and air-conditioning systems constantly circulate air throughout your home. If your ducts are dirty or dusty, then your interior air quality could suffer. Dirty household air ducts or an unclean unit could contain allergens, mold and other contaminants; regular cleaning can prevent health issues from these harmful substances. Lowered system efficiency, making your home less eco-friendly and increasing your carbon footprint. Regular maintenance and cleaning can extend the life of your system, lower your bills and even help you with some common indoor air related health complaints. If you are worried about your air quality and are ready to have your system diagnosed by a professional, we can help. Are you constantly coughing and sneezing, or suffering from dryness and irritation of the eyes, nose, and throat? Do you wake up feeling exhausted? Do you attribute your symptoms to allergies? Did you know all of these signs can indicate poor indoor air quality in your home? You can have a simple diagnostic test of the air quality in your home or workplace, and we can help you choose the right products to install to make your home healthier. According to William J. Calhoun, MD and professor of medicine at University of Texas, “Indoor air quality can be worse than outdoor air quality in almost every case,” he states in an article about air quality on Web MD. Even the cleanest home can be full of fumes from gas-fired appliances, allergens from pets, or dust mites, Dr. Calhoun states. It’s better to have the air quality checked than suffer the ill effects of polluted indoor air. The use of an air purifier filter or UV lamp can greatly improve the indoor air quality of your home or workplace, making it a more peaceful and healthy environment for your whole family. We can install an Air Purifier that will inactivate up to 99% of pathogens captured. Our top of the line Air Purifier is effective against 13 pathogens including influenza, the common cold, measles, and more. It can be retro-fitted into nearly any existing ductwork. A UV lamp fights hard against mold and bacteria, minimizing the chance of dangerous spores lurking in your home. It operates silently, and our Carrier UV lamps come with a 10 year warranty. It’s a simple way to eliminate the chance of bacteria growth on your air conditioning unit. Considering indoor air is between two and five times more polluted than outdoor air, you can understand the importance of indoor air quality improvement. Since you probably spend at least 90% of your time indoors (sleeping, working, going to school), this should greatly concern you. The U.S. Environmental Protection Agency (USEPA) believes 72% of chemical exposure occurs in your home, which is probably the area you think is the safest, but which is in fact, the most hazardous. Chemicals used in furnishings, building materials and cleaning products. Mold caused by moisture problems emits particulates causing negative health effects. Unfortunately, it’s impossible to eliminate mold spores. All you can do is reduce them by promptly repairing moisture problems before mold develops. Particulates emitted from various products in your home (e.g. furnishings, building materials, various other home and office products, dirt, dust) trigger allergies and respiratory issues. This is why you want welcome mats in place and you also want to change your air filters regularly. Poor ventilation is found in most of the buildings people spend most of their time in. While these buildings are tightly sealed and insulated to keep outdoor air from getting in, indoor air is continually recirculated. This is a great way to lower your energy costs, but it has a negative effect on your air quality. As a result of recent health and safety research, people are now more aware how important indoor air quality improvement is for their well-being. Advances in technology have brought about several new products which make the air we breathe much safer and healthier. Before modern times, we didn’t even know that air-borne bacteria were a threat to our health. Now, bacteria and viruses are a well-known issue; and it is even standard for places such as hospitals to install air purification systems in their HVAC units to combat these invisible pathogens. The most basic way to improve your indoor air quality is to install a better air filtering system. There are two new products that can do this. One is a media filter, and the other is an electrostatic air filter. A media filter is a highly efficient woven fiber filter that is generally between three to five inches thick. It’s meant to replace all of the one-inch filters throughout the home, and is only changed once or twice a year. An electrostatic filter is washable, and uses electric current and static electricity to catch microscopic particles and forms of bacteria as air passes through it. A duct network is highly susceptible to dust accumulation as well as microorganisms, especially the old fiberglass box-type ducts. Whatever particles may have gotten through your old air filters are now clinging to the inside of the duct system. Really, the only way to completely clean it is to replace it altogether. You can even ask your technician to install one of the new eco-friendly ductwork systems. These ducts are even more efficient at trapping the temperature inside them, preventing heat from leaking in or out of them, ultimately saving you money on your utility bill and reducing your carbon footprint. Hospitals have used UV-C Ultraviolet germicidal irradiation for decades. Now, a form of this technology is cost-efficient enough for residential use. So what is it? Basically, UV-C is a spectrum of light that kills microorganisms. In the HVAC industry, a technician installs one or several bulbs emitting ultraviolet light on the inside of the air handling unit to prevent the growth and spread of harmful viruses and bacteria. There is even a model that goes inside the ductwork to constantly purify and sanitize the air. If you or anyone in your home suffer from allergies, stuffy nose, or asthma, these could be symptoms of poor indoor air quality in the home. Heating and air conditioning systems can last for many years, and many people keep all of the same components for as long as possible. One upgrade that you might want to consider making, however, is a thermostat upgrade. Thermostats are relatively affordable — even if you choose a higher-end model — and can be installed quickly and easily by a heating and air conditioning professional. These are a few reasons why you might find it worth it to make this replacement. An old, outdated thermostat can be a real eyesore. Since these thermostats are often in highly visual areas of the home, this can have more of an effect on your home’s aesthetic than you even realize. Replacing your old thermostat with a brand new, modern-looking thermostat can make the wall look better instantly. Over time, thermostats can become less accurate. By installing a new thermostat, you can help ensure that you can properly control the temperature in your home. This can help you keep yourself and your family comfortable on exceptionally hot or incredibly cold days. Did you know that replacing your thermostat can actually help you save money on your heating and cooling bills? Consider looking for a programmable thermostat, which you can adjust to you and your family’s schedule. Then, you don’t have to worry about heating or cooling your home when no one is around, which can save you a lot of money on your heating and cooling bills throughout the year. A thermostat upgrade can be a great addition to your home. Contact us to talk a little more about this type of upgrade.